A significant new service for ABP’s Hull Container Terminal has been agreed offering deep-sea connections to the rest of the world for the first time in its history. The agreement between ABP and Maersk, the world’s largest container shipping line, has been established to open this crucial trading link to the Far East and beyond. The service begins in the new year into the 21-acre container terminal in Hull which has seen significant recent investment by ABP. The weekly feeder vessels will see ABP handle around 240 boxes per week, equivalent to 12,000 containers per year. “Unlocking this new trade gateway to the rest of the world is not only significant for the local economy, but also for the national and international economy,” said Simon Bird, ABP Humber director. “We’re proud to welcome the world’s largest container shipping line, Maersk, on board to the Hull Container Terminal, and we look forward to strengthening our partnership and building further trade links. The recent investment has helped the Hull Container Terminal go from strength-to-strength and it can now handle double its container capacity, some 240,000 containers per year. Furthermore, this year it has gone from five sailings per week to a maximum of 16 sailings per week, testament to the fact that Hull is increasingly becoming a premier container trade destination. 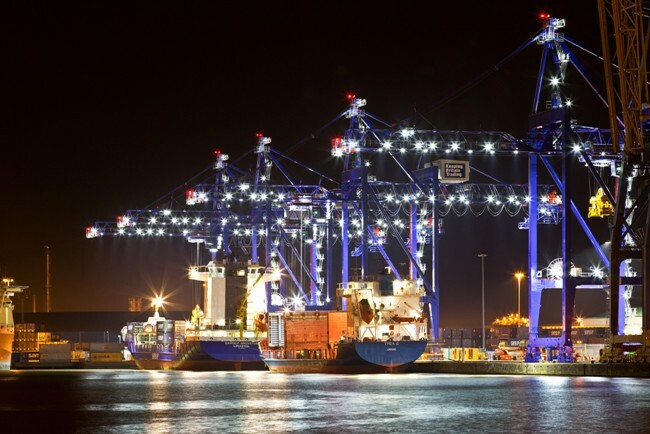 “We have recently opened up connections to Ghent, Rotterdam and Amsterdam and the fact that we now have a significant world-wide container line on board, proves that Hull Container Terminal is a powerhouse in its own right,” said Chris Vause, ABP commercial manager. ABP’s four ports on the Humber (Grimsby, Goole, Immingham and Hull) handle around 17 per cent of all of the UK’s seaborne trade. Every year the ports handle £75 billion worth of trade, more than the Mersey, Tyne and Tees combined.